Have you noticed that if you don’t keep the wonder in your life alive, your brain starts to die? Your spirit too. That’s because your brain is part of your spirit. I really love this Ensign article that explains why it’s important to keep a sense of wonder alive. Wonder is part of staying humble to learn new things, whether it’s in regard to academic stuff, like studying how lightning travels upwards, the history of Machu Picchu, or nurturing your testimony of the restored gospel of Jesus Christ. I have been a stay-at-home mom for over 23 years. I love it because of the freedom I have everyday to listen/watch/read about new ideas and share new ideas with my kiddos during our homeschooling day. After high school, I went to college, and then after college I worked temporary jobs until I got a permanent position working as a lab assistant for a medical professor at the University of Utah. I worked the 9 to 5 grind analyzing radioisotopes until two weeks before my first baby was born, then I quit my job to be a SAHM. I distinctly remember the day I graduated from college, which was back in April of 1992, hey that means I am coming up on my 25 year anniversary! I was so happy that I had accomplished my dream of getting my bachelor’s degree, and even happier that I could now read whatever I wanted to without feeling “guilty” that I was taking time away from all the assigned reading and writing I had to do for school. I felt such freedom to read whatever I wanted. I felt like a kid in a candy store! Here is a list of some of the things I do for intellectual stimulation to nurture my happy, inquisitive, curious self as I go through my chores and supervise my kids in their homeschooling tasks and pleasures. If I don’t keep a constant flow of new ideas streaming into me, I’ve noticed I get bored, grumpy, cynical, and despondent. My life feels bleak and nihilistic. I start to drag my feet to do household chores. But when I can listen to something while I work, suddenly life is so much easier, and more fun and meaningful, so that I breeze through my chores. Chores like fixing dinner, mopping with my kids, or cleaning out my fridge become enjoyable. I let my kids listen to stuff too while they work when I feel too busy to read aloud to them and it helps them work faster too. I love having the audible app on my phone to help with that. So here is my list. These are listed in random order of subjects, not according to preference. I love them all, to say I have a favorite would be to say I have a favorite of my seven children. -Wallbuilders Live, this gives me a conservative, Christian perspective on current events as well as America’s founding period. –Classical 89’s Thinking Aloud. This gives me very interesting insights into a wide variety of topics, from music, to economics, to politics, to philosophy. I almost bought a used car from the host, Marcus Smith. As soon I heard his voice, I recognized him from this show. I thoroughly enjoyed chatting with him and found out he knows my dad. 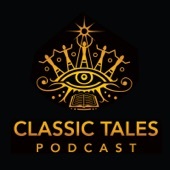 -Classic Tales. This podcast just did Pride and Prejudice, in several episodes. Highly enjoyable! –The Apple Seed from byutv. This podcast features my high school classmate, Sam Payne, pictured below, telling delightful stories from near and far. I love it! -I love, love, love to listen to General Conference and Ensign magazine articles and stories on my Gospel Library App. These aren’t podcasts but I am listing them here. During breakfast time I play Friend and New Era stories for my children. It is sooo interesting and fun to hear all these stories and talk about them. They make me cry and laugh as I hear about people living the gospel and having their prayers answered, and see the hand of God in their lives. here are some deals, of which we picked up a few, like Anne of Green Gables and the Green Ember. 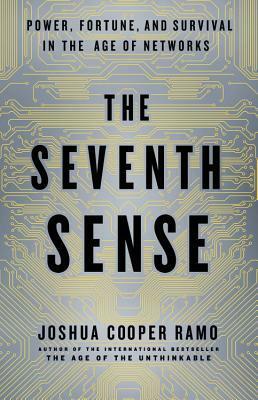 I also got The Seventh Sense on Audible because I was reading the book for the Liber Communities Summit. I find it hard to make a ton of time for reading so I am so grateful that I can often find books I am reading on Audible and switch back and forth, and listen while driving or doing housework or grooming. Universal Model videos to explain a much needed model for science based on natural law, not theories. –Roman Roads Media, full of videos about the classics from a Catholic perspective. I’m LDS, not Catholic, but I find these videos useful for understanding the classics. –The Great Books, from the Great Books TV series that was on cable TV in the ’90s. These are more useful videos for understanding the classics of the western world. –The Ten Boom Institute, founded by my friends Blaine and Audrey Rindslisbacher. These are video book reviews of classics, both for kids and adults. Crash Course, I take the secular humanism of the Green brothers with a grain of salt because I like the quick synopses of literature, science, philosophy, history, and more. Wallbuilders, again, I like David Barton’s Christian perspective. I also find other YouTube videos by Wallbuilders founder David Barton by simply doing a YouTube search for his name. This one below about DNA Evidence and the Book of Mormon is my current favorite. It is almost 4 hours long and took me a week to finish it but it was so worth it, it’s so fascinating! I am intrigued by the “Heartland Model” of Book of Mormon geography. I’m not ready to accept it as gospel truth but it is fun to think about. –Latter-day Learning. These are videos put out by American Heritage School, an LDS-based private school that LaDawn Jacob‘s parents helped to start. You can watch videos of their conferences, including the most recent one here. –Hard to Find Mormon Videos. Oooh, this channel is full of gems! It has some oldies but goodies,that I can’t find anywhere else, like “The Phone Call” and the “Free to Choose” series from my 10th grade seminary days when we studied the Book of Mormon. Plus old BYU film productions. It also has some old church firesides and The Fourth Witness, a video about Mary Whitmer, who was the fourth witness to the plates that the Book of Mormon was translated from. –YabbaDabbaDooTheChurchisTrue Don’t you just love that name? This is another gem of a YouTube channel, featuring the oldies but goodies Mormon films, like “Spiritual Crocodiles” and “The Mediator” below. But wait there’s more, it has firesides by church speakers, like John Bytheway and Troy Dunn and George Durrant. Wow! These make for great watching, especially on the Sabbath Day for my kids, and we can listen to the firesides on car trips when I have them captive. It also has audio goodies for adults, like a lot of Truman Madsen lectures. Wow, I think it must be someone who is an insider of Deseret Book? –BYU Religious Education Channel The BYU Easter Conference has videos here, as part of the BYU Religious Education Channel. It also has videos from the Sidney Sperry Symposium and the BYU Scripture Roundtable discussions. –BYU Virtual Tours. This channel has tons of cool videos showing places where American history and LDS Church history happened. –BYU Maxwell Institute. These videos show the Institute’s work in weaving faith and scholarship together. –BYU Women’s Conference. I remember going to the session with Gladys Knight, pictured below, ages ago. –C.S. Lewis Doodles. These videos take C.S. Lewis writings and have a narrator speaking the words while someone draws out the ideas. They are so wonderful! I joined the Trim Healthy Mama membership site so I have been watching the “In the Kitchen” videos as well to increase my cooking skills regarding fuel separation. Sometimes the two sisters get a little too cackly and chirpy when they interrupt each other, but overall I enjoy these. After cooking almost three meals a day for over 25 years, it is great to get more inspiration, especially on how to cook tasty food for a large family and lose weight at the same time. I love all the shows from BYUTV, like American Ride and The Food Nanny and Relative Race. There’s so much more than Studio C. Great stuff! YouTube has some clips from these shows. Of course first comes the scriptures, which I focus on first for the day. I make it a point to have my scriptures be the first text that I lay my eyes on every morning. After the scriptures, I read blogs and Kindle books, listen to audiobooks on CD and the audible app, and read old-fashioned print books. I like the video above by a vlogger Heather who gives great tips on how to read when you are a mom. I’ve done most of them! –duggarfamilyblog.com Because I am fascinated by big families! –mormonmomma.com, done by an acquaintance, Alison Moore Smith, from whom I bought my used piano back in 2005. She is a veteran homeschooler mom and highly opinionated. I just love highly opinionated people when I agree with them most of the time, LOL. When I don’t agree I still appreciate their energy, if I think they are at least half-right. –momdelights.com This is a woman who went from a U.S. soldier to a mom of 15 kids! I love her easygoing tips on frugal living, homeschooling, and practical crafts, like how to do download McGuffey Readers and then put pretty bindings on them. Something I fantasize about doing, haven’t found the time to do it yet! Then I have my books, which I love to collect by finding killer deals of classics at thrift stores. I often share what we are reading here on this blog, like here. In the past few months, since 2017 started, I have finished The Seventh Sense, like I mentioned above, and Before Green Gables, the prequel to Anne of Green Gables. With both of those books, what helped me “get through” them was having audio versions. I got the Seventh Sense on audible and Before Green Gables on CDs from the library. I would not have been able to “read” them without those audio versions. I am having an online discussion for Before Green Gables, so please go here and make a comment if you want to join the online discussion. It had lots of sad parts but what do you expect, Anne was an orphan in rural Canada! 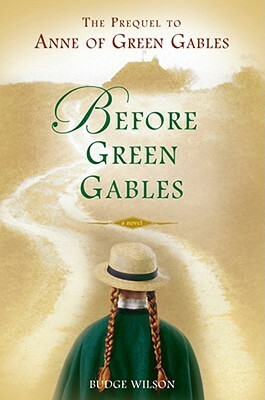 Even though it was sad it was a joy to read because it gave depth to all that happens in the Green Gables book. Some of my girlfriends in my book club said they wanted to throw the book out the window because of all the sadness, but I just knew that Anne would overcome all the sadness, and she did! I have kept track of a sliver of what I have read in my life, on goodreads.com, and would love to be your friend there. So sign up please and friend me! I love to get book recommendations from friends.